LG will soon be offering a line of mid-range devices worldwide. Recently unveiled at this year’s Mobile World Congress, LG’s line of ultra-affordable, premium phones will first start rolling out in South America. Subsequent roll-outs will follow in Europe, Asia, the Middle East, Africa, and North America. The phones to be introduced to the market by the South Korean manufacturer may not be as familiar to Android users as the often coveted G line of devices. With names like Magna, Spirit, Leon and Joy slated for release, LG seems to be trying to brand their phones with premium titles. The specs for these phones are no joke to the segment of the market they are rumored to target. LG makes sure that these devices aren’t pushovers with all but one coming with a quad-core proc and most shipping with 1GB of memory. The specs don’t come close to devices like the G3, but they aren’t supposed to. The whole idea of this lineup is to give a premium user experience on a reasonably priced budget. LG does this by including features of its already popular smartphone lineup, tuning each device family to a specific level, and adjusting the price accordingly. What do you think? 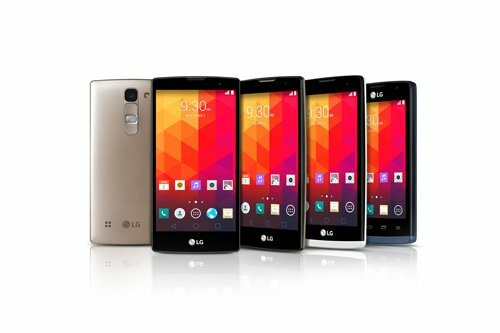 Will you be giving LG’s new budget lineup a try?